Redline Capital Management S.A. proposed a takeover of artnet. On May 29, 2012, Redline provided the mandatory disclosure related to its 5% ownership interest in artnet AG. Redline's proposal to takeover artnet stems from a business analysis by Skate's Art Market Research; Skate's recommends a decisive strategy and Management change for artnet whom they state "is no longer market leader." Proposal by artnet to amend the Articles of Association to require 75% of shareholders' votes for all significant Company changes. Closing of the artnet magazine and artnet Paris office as cost savings measures. Introduction of artnet Analytics Reports. Although Hans Neurendorf, artnet CEO since 1989, resigned under pressure, Mr. Neurendorf has been retained as a consultant to artnet with an undisclosed consulting contract. In addition, Jacob Pabst has assumed the role of CEO; however, the artnet Press Release avoids mention of the familial relationship. During 2012 alone, Mr. Neurendorf has furiously purchased artnet stock, spending approximately €179,598.06 for 43,526 shares. This is Mr. Neurendorf's attempt to maintain artnet control, and ensure veto power vs. minority shareholders, who Mr. Neurendorf maintains, the Company does not need since "they do not know art, they know money - artnet likes to focus on art and artists." artnet online art auctions was initially launched in June 1999; as a result, artnet raised $49 million via a 1 million share offering on the Neuer market, giving the Company a $275 million market capitalization. At the time, Mr. Neurendorf stated "The IPO will enable artnet to capitalize on our market lead by expanding our auctions, investing further in marketing and additional staff and strengthening the company infrastructure." artnet printstore launched on August 8, 2000.
artnet bookstore was launched in 1999 with the best selection of books anywhere. After a hiatus of six years, artnet auctions, re-launched in 2008, with a 10% across the board buyer's premium and complete bidder transparency. While artnet auctions boast that all Lots are guaranteed; the fine print indicates only a 45 day term of guarantee, in conflict with the 4 year requirement of the Uniform Commercial Code. Most significantly, artnet auctions have yet to generate any bottom-line revenue; furthermore, since the artnet auctions relaunch, Gallery Memberships have fallen to at all time low. In addition, according to Alexa, artnet traffic is below a year ago, and most alarming, the average user spends about two minutes on the site navigating through Auctions, Galleries, its Fine Art Price Database and the recently closed magazine. It is no wonder Gallery Memberships continue to erode. Since artnet's short lived online art auctions in 2000, numerous online art start-ups have launched, with varying levels of success, and many, actual giant financial failures. In its three years of online auctions, Sothebys.com lost about $100 million, even though its operation was first class with vetted lots on par with the Company's brick and mortar auctions; soon after its launch, Sothebys.com was selling about $1 million dollars a week online, but the venture was aborted in 2003. Christie's LIVE™ was launched in 2006, providing net incremental dollar volume, and most importantly, new users. Christie's LIVE™ is built with the same 5 year terms of guarantee as Christie's. According to Christie's, online bidding registered a +15% increase in Client bidding and a +20% increase in visitors. After the Christie's LIVE™ launch, Sothebys.com re-introduced online bidding, this time in conjunction with its live auctions, conforming to the Sotheby's terms of guarantee. Both Christie's LIVE™ and Sothebys.com exist as an adjunct to the regular auction activity of each firm; both firms recognize the importance of pre-auction viewing of all lots offered, usually accompanied by carefully produced catalogues. While the 2011 artnet annual report avoids mention of each, the 2011 preface by Mr. Neurendorf mentions "key players including Facebook, Google, Groupon, Twitter"; paradoxically artnet has not embraced a meaningful and compelling social media strategy that benefits Member Galleries, users, etc. A key impediment to artnet Auctions lack of success is users must rely on Lot descriptions, often not carefully written. In addition, artnet has not implemented a meaningful curated program of speciality sales that could help create bidder interest beyond just having lots on-line 24/7. In 2010, to help increase the bottom-line, artnet increased the buyers premium from 10% to 15%, and quietly implemented anonymous bidding, and removed all unsold lots from the web. 91.2% of sold lots fetch less than $10,000. Since artnet auctions relaunched in 2008, it has sold over 8,500 items as of July 31, 2012., with 91.2% sold for under $10,000. An analysis of sold lots indicates that to date, artnet has sold 8,605 lots, of which 57 have fetched $50K or more and 16 have fetched $100K or more. However, without sufficient support, the 2011 artnet annual report states: artnet auctions routinely sees works by blue-chip Modern and Contemporary artists sell in the five- and six- figure range. Browse our inventory of lots sold on artnet Auctions. Value your artworks by comparing them with recent auction prices of comparable works. In addition, artnet routinely offers lots that are incorrectly documented. For instance, most Art Dealers would be hard pressed to document this Andy Warhol lot as a unique collage. We are certain that most member galleries would not repeat the mistake of the artnet specialist. 2 Dollar Bill Signed Andy Warhol sold for $10,522. Not only is this documentation incorrect, but the bidder who spent $10,000., actually purchased ephemera; the lot is NOT an Andy Warhol collage. Down the road, they will get a rude awakening, and sadly because artnet only offers a 45 day return policy, they will never get their money back. What is the impact of artnet auctions on Gallery Membership? The online artnet auctions, launched in 2008, has resulted in a severe erosion to the number of member galleries, now at all time low of substantially less than 2000 member galleries. 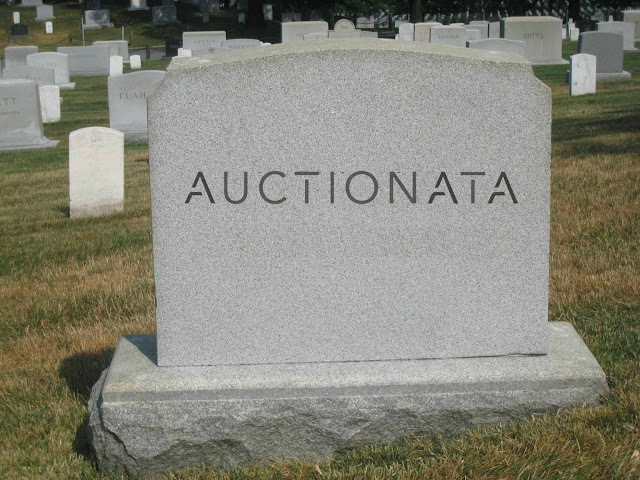 As of July 31, 2012, just 4 years after the artnet auctions launch, a link on the site shows 1,670 member galleries, a loss of 530 member galleries, resulting in an estimated loss of $2 million in gross revenue. The 2011 Annual Report shows an operating margin of 1.19%, which suggests for every $100 of sales, artnet generated a net operating loss. According to the 2008 annual report and prior to the artnet auctions relaunch in 2008, artnet had 2,200 member galleries. The 2011 annual report indicates a loss of 130 galleries. Users are not viewing artnet as the premier portal for art and information about the art market, but rather on an a la carte basis. artnet has failed to capitalize on its market strengths, relying instead on a steady diet of complacency and inertia. artnet has failed to be innovative nor recruited talented personnel, but rather has consistently promoted from within. Therefore, artnet's perspective is at best limited, with employees who have never before worked in a gallery, auction house, museum or for an art publication. According to recent evidence, artnet traffic continues to show substantial declines; Alexa reports the average user spends about 2 minutes on artnet. Given that artnet contains over 2.5 million pages of indexed content, spending about two minutes per user is a concern. artnet.com is one of the top 50,000 sites in the world and is in the Directories category. While the art market has improved over the past 12 years, artnet has been unable to capitalize on meaningful new products resulting in a lack of incremental revenue and, most concerning, jeopardizing its reputation as a leading art site. It is imperative that on August 8, 2012, a new business strategy and management restructuring results from the Redline Capital Management SA voluntary takeover as presented by Skate's. Full disclosure: Joseph K. Levene was a consultant to artnet in 2000, as was Mr. Robert Grunder, director, Joseph K. Levene Fine Art, Ltd.